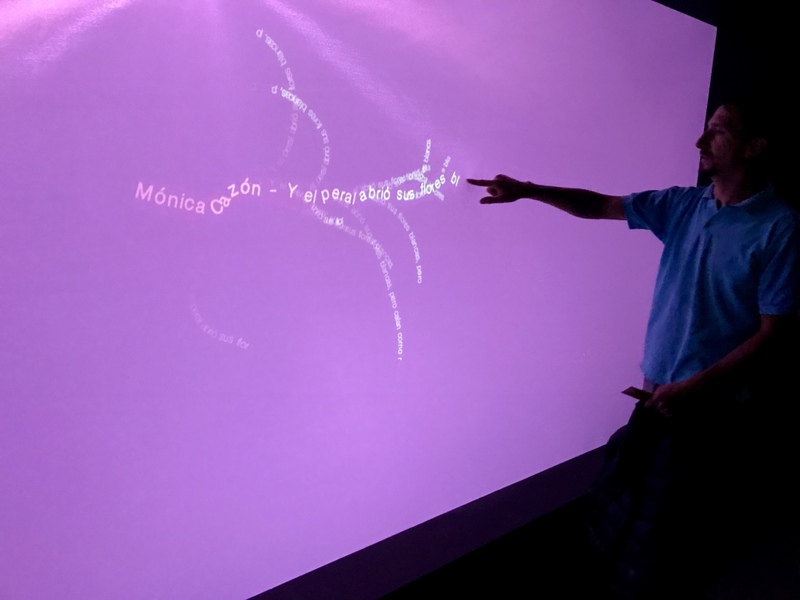 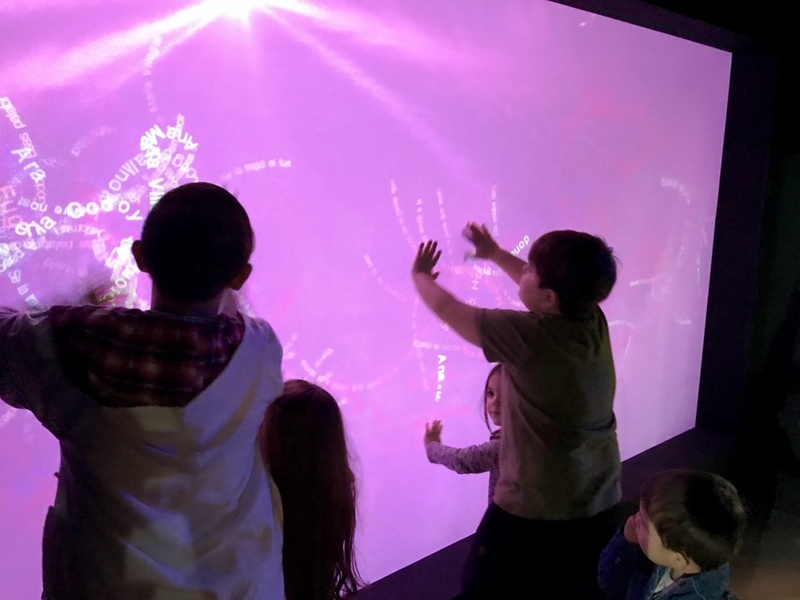 "Revealed texts" is an interactive installation that invites you to discover hidden texts on the screen. 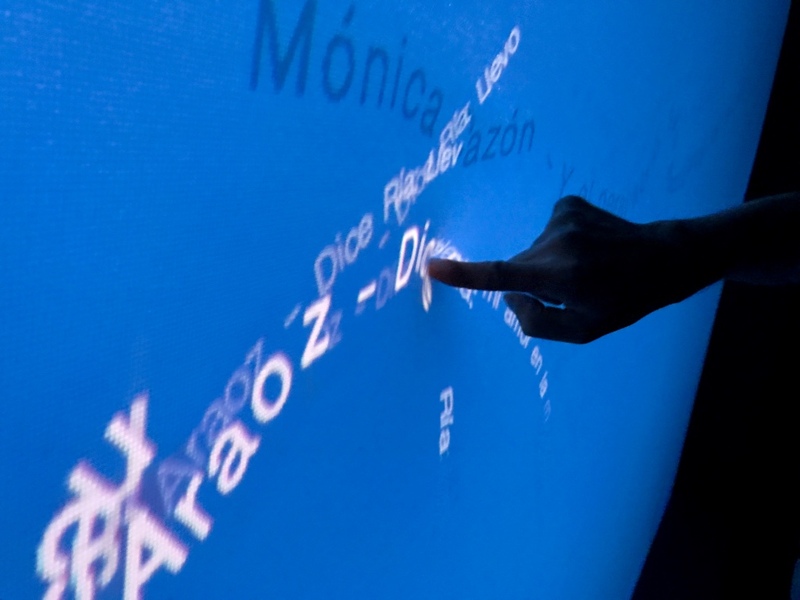 Every gesture of the hand on the elastic fabric gives life to the words. 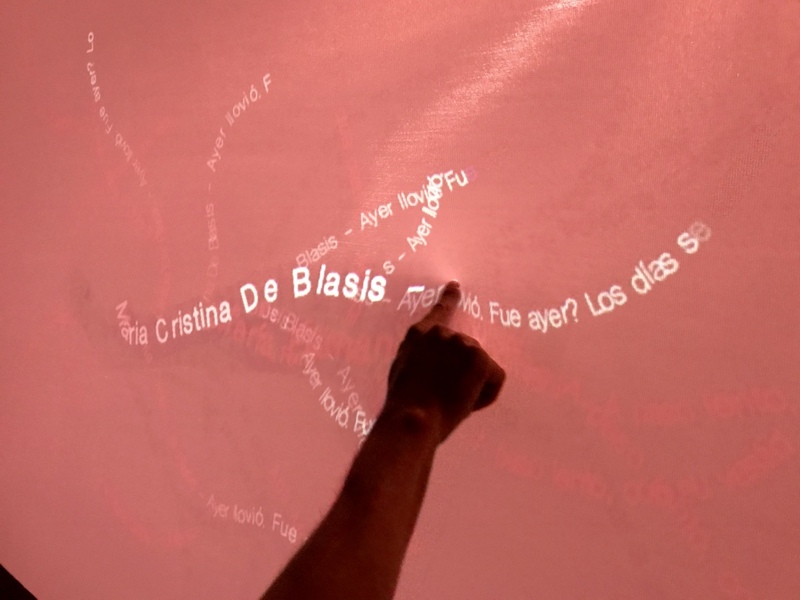 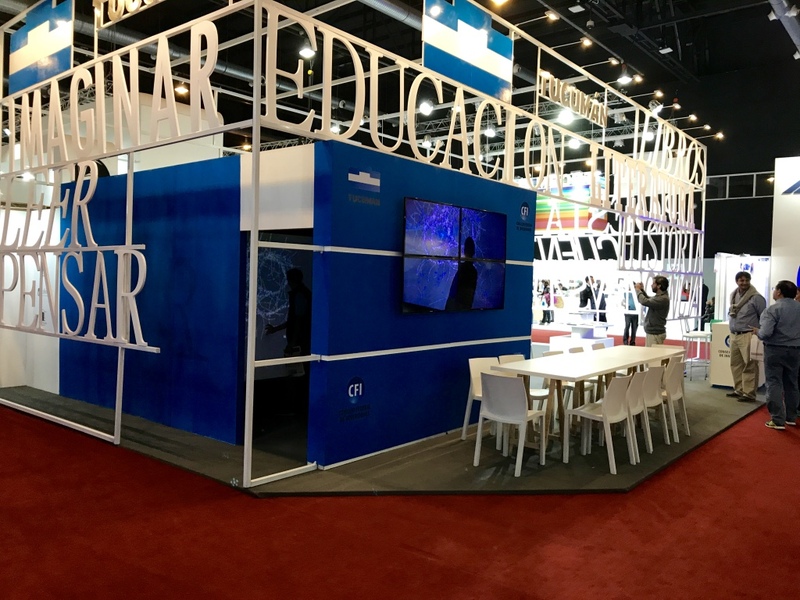 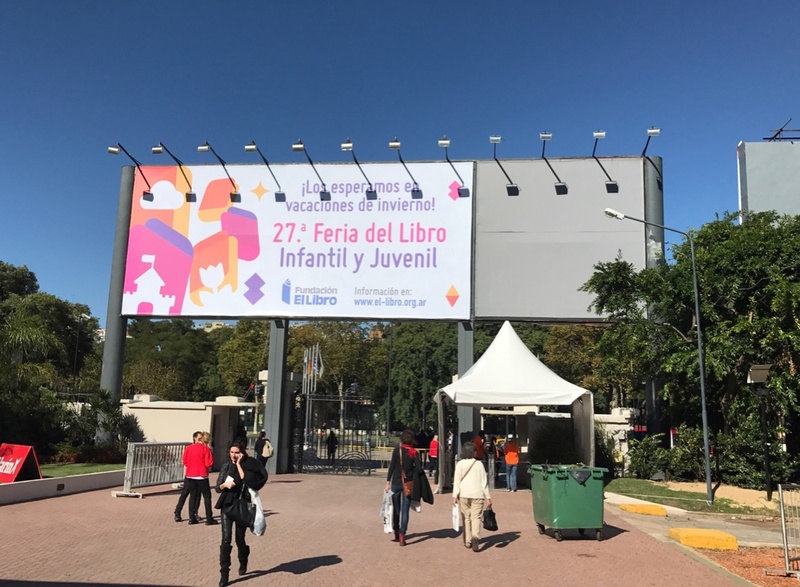 Commissioned by the government of the province of Tucumán for the International Book Fair of Buenos Aires 2017, "Revealed texts" is presented as a playful experience that links technology with literature.